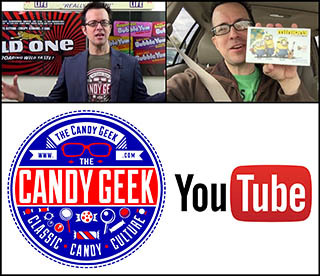 ← Twelve Days of Christmas: Spangler’s Holiday Dum-Dum Pops!! While it is tough to track down examples of vintage candy packaging, I find it notable that it can be nearly as difficult to find modern items as well. So there can be mystery and challenge even when discussing items currently in production. For example, in all of my Christmas candy searches this year I only ever found these holiday Tootsie Pop Drops packs once. It’s puzzling, as they aren’t listed on the Tootsie website and I couldn’t even find them for sale from any online retailer. Using different artwork (and a different art style altogether) than that found on the Tootsie Roll holiday two-packs these three packages are striking to see with their colorful foil packaging. Tootsie Pop Drops area long-time favorite of mine, going all the way back to my childhood. It’s wonderful to finally see a special holiday release of them. 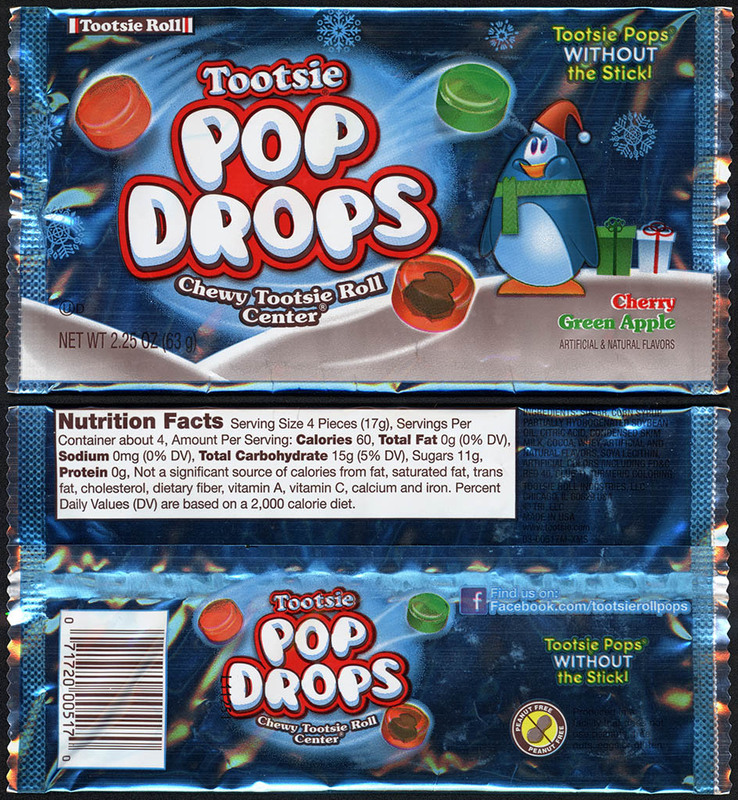 As these holiday Tootsie Pop Drop packs were especially tough for me to track down, I wonder why that might have been? Has anyone else seen these? If so, at what store and what part of the country? It might be fun to gather some kind of consensus from other folks to determine just how limited the distribution on these was. Perhaps they are only hitting a few regions in their introduction year and next year they’ll be everywhere. 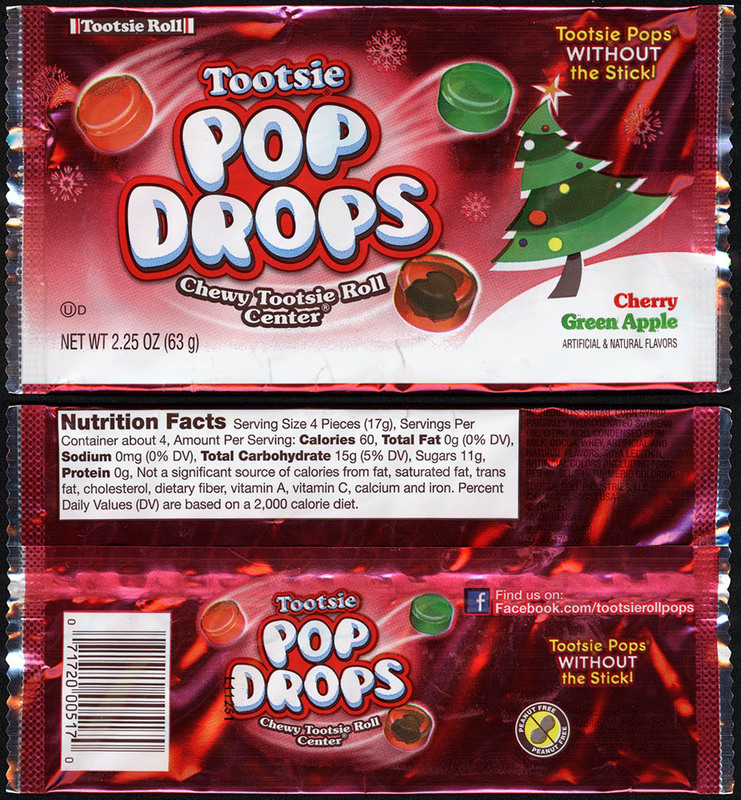 And with those investigative questions posed, that’s everything for today’s post on these modern-and-mysterious holiday Tootsie Pop Drops packs. See you next time! This entry was posted in Christmas, Holiday, Uncategorized and tagged candy collecting, candy collection, candy collector, candy wrapper collection, candy wrapper collector, Christmas, collectible, collecting candy, confectionery, confections, holiday, packaging, Penguin, Santa, sweets, Tootsie, Tootsie Pop, vintage candy wrapper, wrapper. Bookmark the permalink. 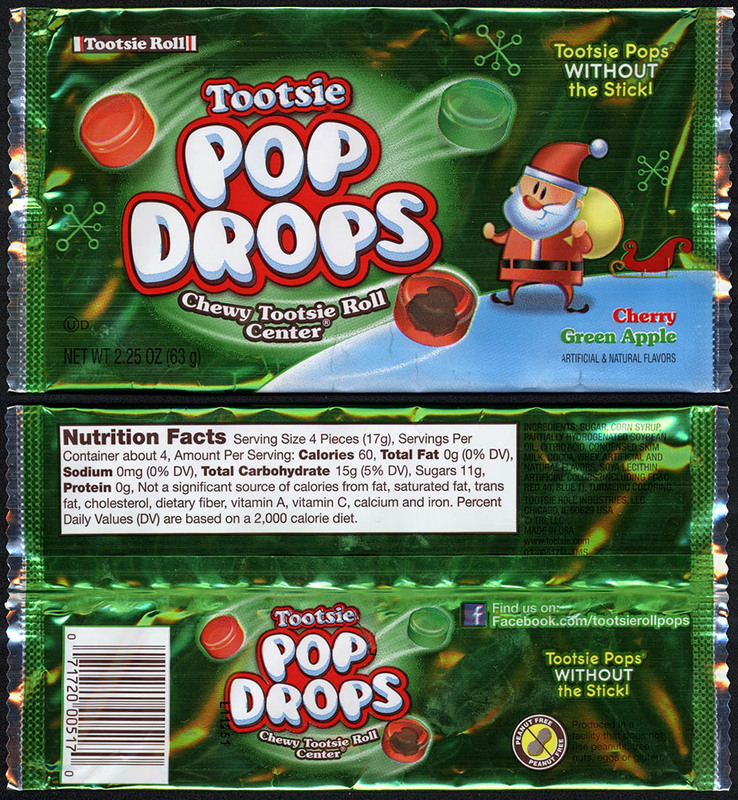 2 Responses to Twelve Days of Christmas: A Trio of Christmas Tootise Pop Drops Packs! Cool packs! I haven’t seen them in Missouri.